in my workflow i need to compose and send an email with attachment. I thought i would use the Compose method of the BOR SOFM, it does the job but the file attachment is created in a previous task and i would like to display it when i launch the Compose method. When you bind the attachment to the dialog step then it will be visible in the workflow inbox. If you explicitly want to show it at the moment that the user selects the workitem you can use a secondary method, just bind the SOFM object and use SFOM.Display method. Sorry, don't understand your response. Create Task (PFTC) with BOR SOFM and method Compose. This method – Dialog, and performed by the user. 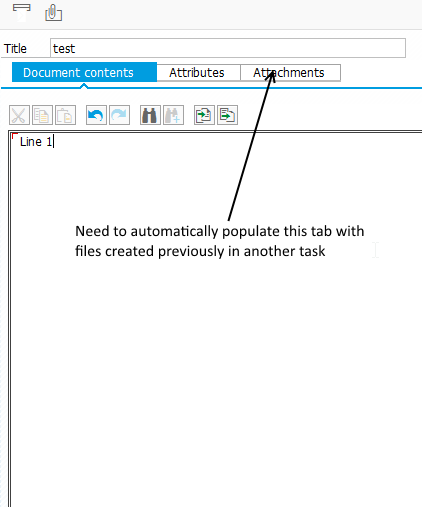 The user creates Document, creates Attachment and fills Recipient (email) and presses button “Send”. But must first be configured server (Mail Server (SMTP)) to send mail. Hi Denis, i did that, but my need is the following : when the method Compose is launched i want to initialize the Attachments tab with data.